Dr Bennett is certified by the American Board of Surgery. Her practice includes endovascular and open approaches to peripheral arterial disease, aneurysms, carotid disease and venous disorders. Dr. Bennett provides a wide range of services including Abdominal Aortic Aneurysm (AAA) Repair – Endovascular, Abdominal Aortic Aneurysm (AAA) Repair – Open, Angioplasty With Stent Placement, Carotid Endartecotomy, Carotid Stenting, Dialysis Access, Extended Efforts in Limb Salvage, Peripheral Artery Bypass, Thoracic Aortic Aneursym – Endovascular, Thoracic Aortic Aneursym – Open, Thoracic Outlet Syndrome Treatment, Varicose Vein Treatment. Dr. Bennett’s research interests include socioeconomic effects on outcomes of vascular disease and vascular surgery as well as methods to mitigate these effects. 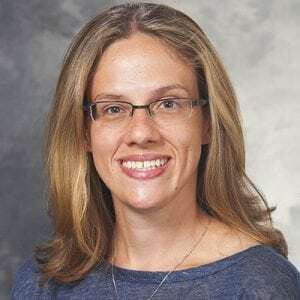 Her interests also include patient-centered decision making – improving assessment of patient-specific comorbidity and operative outcome risk assessment and delivering this information to the patient. Feasibility of an Image-Based Mobile Health Protocol for Postoperative Wound Monitoring. Thirty-day readmission and mortality among Medicare beneficiaries discharged to skilled nursing facilities after vascular surgery. Current practice of thoracic outlet decompression surgery in the United States.